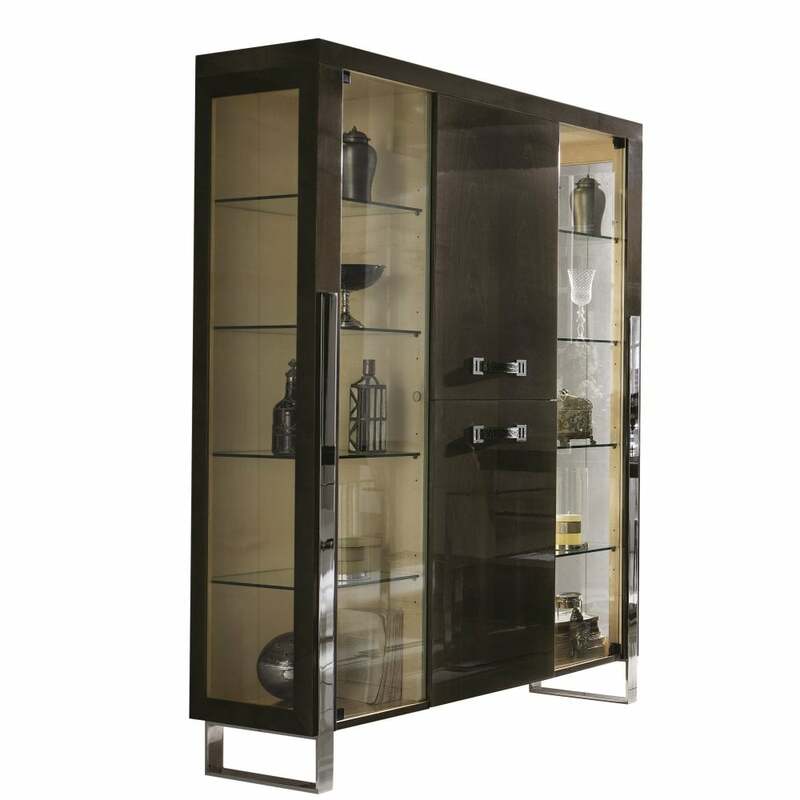 Cabinet with 2 wooden and 2 glass doors. Inside of central upper part is covered with mirror. Internal lighting: 2 lads. Leather door handles.